Prominent States members Richard Willmott and Colin Williams have announced they will not seek re-election in December. Both members have come under fire in recent months for the cost overrun on the commercial quay and for voting to support the controversial smoking ban. Mr Willmott has also been attacked since his wife applied to convert a derelict property, situated in greenbelt land, into four cottages. Policy and Finance chairman Mr Willmott said serving the island had put a strain on his health, ability to earn and his family and friends. Mr Willmott, who is also one of Alderney's Guernsey States representatives, said he wished to avoid "relentless gratuitous abuse" in future. "I have worked tirelessly during my six years of office for the benefit of the island, the past three of which have been almost full-time owing to my added responsibilities in Guernsey," said Mr Willmott. "The costs, in terms of the strain on family and friendships, and on my health, not to mention the material opportunity cost of lost earnings elsewhere, have been enormous. 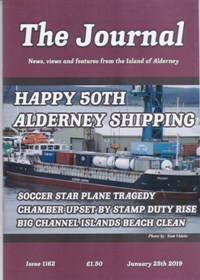 Consequently, I can reassure people that I have no intention of subjecting either myself, or my family, to the pressures of another four years of relentless gratuitous abuse that being an Alderney States member entails." Mr Williams, who is chairman of both the Finance Advisory Group and Commercial Quay Project Board, said he had become tired of having to listen to "armchair experts". "One of the reasons I'll be standing down is the hassle," said Mr Williams. "There are too many armchair experts contributing little other than telling us â? ?how to do it'. Why do they act as if we are inexperienced peasants? Their arrogance, based on minimal knowledge, is stunning." Mr Williams said his age and workload had also convinced him to quit, while he had achieved what he set out to do. "I stood for the States in 2001 because public infrastructure was in a poor state, apparently due to lack of finance. The then treasurer and I worked together on an economic plan that eventually resulted in 2003 to Guernsey agreeing to ring-fence gambling profits for Alderney use. This provided the finance. I left in 2004 because of my wife Milly's illness. 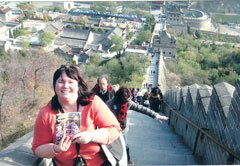 "I stood again in 2007 as I had arranged carers for Milly. I then concentrated on planning to use gambling funds to get an accelerated capital programme in place. With the commercial quay and new care home I have achieved what I can." Mr Williams added: "I'm 73 and the capital spend rise from &pound;700,000 a year to &pound;7m has created a very heavy workload." Mr Willmott said public and press criticism of Mr Williams over his role in the quay's redevelopment was particularly unfair. "Comments regarding the ability of States members to manage projects are misplaced and misunderstand the normal role of political representatives on project boards. For generations to come the island will be in the debt of Commercial Quay Project Board chairman Colin Williams. Without him there would be no new quay. Instead we could have ended up with an expensively repaired old quay. "Colin Williams is a former FTSE 100 company director with many years experience of managing multi-million pound engineering projects. He has a first-class degree in physics and chemistry. The island has been the undoubted beneficiary of his abilities. In short we are lucky to have him. So what does the island do? It takes every opportunity to abuse him. I have no doubt that his extraordinary focus, energy and attention to detail has meant that the ultimate cost of the project is materially lower than it would otherwise have been. His output is prodigious. "By way of example the last paper I received from him last week, as it happens on the subject of the quay, was the 853rd produced by him in his term of office â?? that is in addition to the thousands of emails produced, quite apart from the hours of time actually doing things and attending meetings. Elsewhere that work would be done by civil servants. Here we do not have that luxury. Furthermore due to his personal circumstances all his written work is done late at night."